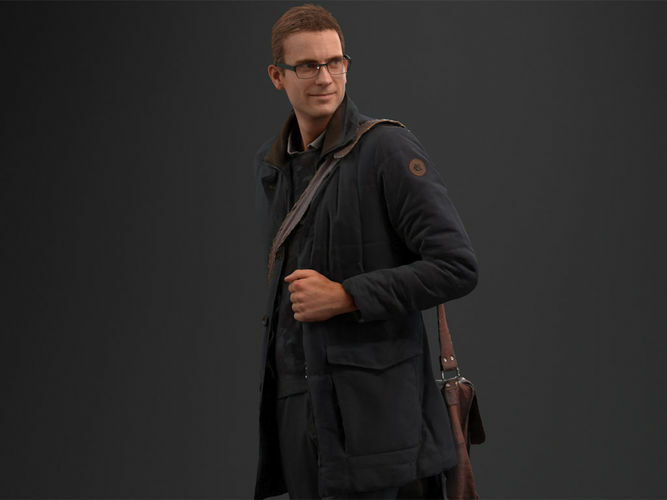 Fashionable guy with bag realistic 3D model. -5 mesh resolutions. From ~1 million poly’s to ~25 million poly’s. -Normalmaps for each mesh resolution to get all the details of the highest resolution in even the lowest resolution mesh. -Digitally grown hair. -8192 pixels x 8192 pixel textures and masks. -Masks for each material on the model (skin, clothing, etc). -Makes easy color variations possible Example. -Custom created shaders for each surface on the model. -Obj files for import in other software packages.